Launched in March 2018, the Samsung S9 Plus 128GB Midnight Black features a 6.2-inch touchscreen display with a resolution of 1440 pixels by 2960 pixels. The Samsung S9 Plus 128GB Midnight Black has a camera (rear) with a resolution of 12MP, while the front camera has an 8MP resolution. Furthermore, the Samsung Galaxy S9 Plus 128GB Midnight Black’s price is under Rs. 70,000. Which processor does the Samsung S9 Plus 128GB Midnight Black come with? The Samsung S9 Plus 128GB Midnight Black comes with a 1.7GHz octa-core processor. Which Wi-Fi standards are supported by the Samsung S9 Plus 128GB Midnight Black? 802.11 a/b/g/n/ac Wi-Fi standards are supported by the Samsung S9 Plus 128GB Midnight Black. Is the Samsung S9 Plus 128GB Midnight Black's battery life good? Yes, this phone's battery life is good. The Samsung S9 Plus 128GB Midnight Black is powered by a 3500mAh battery and gives you an on-screen time of 4-5 hours. From where can the Samsung S9 Plus 128GB Midnight Black be bought on EMI? 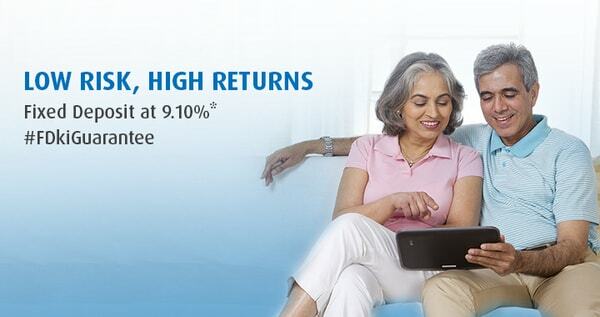 You can buy it from Bajaj Finserv in easy EMIs. The company provides its customers with a loan facility on easy No Cost EMI options (on some products). Bajaj Finserv has a hyperlocal network of more than 43,000 stores spread across 950 cities in India, which means you can easily locate a store near you. That’ s not all, you can get quick loan approvals and flexible repayment options also. Can an EMI option be chosen according to one's preference? Yes, you can choose an EMI option according to your preference. You can repay the loan in monthly instalments. Some of the top Samsung phones in the market today include the Samsung S8 Plus, Samsung Note 8, Samsung S9 Plus,Samsung Galaxy S9, etc. The Samsung Galaxy S9 Plus 128GB Midnight Black offers a is 64GB RAM. Also, it is powered by a 1.7GHz octa-core processor and it comes with 6GB RAM. The phone packs 64GB internal storage that can be expanded up to 400GB via a microSD card. Another impressive Samsung Galaxy S9+ specification is its 12-megapixel primary camera (rear) and an 8MP front camera for clicking selfies and video calling. The Samsung Galaxy S9 Plus 128GB Midnight Black specifications also include connectivity options such as Wi-Fi, GPS, Bluetooth, NFC, USB OTG, 3G and 4G. At a price of under Rs. 70,000, the Samsung Galaxy S9 Plus 128GB Midnight Black benefits smartphone buyers looking for a high-end and feature-loaded smartphone. Bajaj Finserv, with its network of 43,000 stores across India, helps you make your purchases simpler. You need to go to the nearest Bajaj Finserv outlet and submit your address proof, ID, and a cancelled cheque. Apart from these three, the customer is required to sign the ECS mandate. After this, the customer loan is approved instantly. In order to make shopping experiences better, Bajaj Finserv provides its customers with an EMI Network Card. The existing customers can apply for the Bajaj Finserv EMI Network Card through Experia, the company's customer portal. The card can be availed for a price of Rs.399, and would be sent to the customer within 15-20 days. Lastly, customers can get in touch with any of Bajaj Finserv representatives to know more about in-store financing.